Writing a good blogpost is an art. No matter how elaborate your content marketing strategy is, you can’t make a mark on your potential customers if you don’t do your research. It’s not considered wise to keep publishing post after post on a blog, without any purpose. Rather than just churning out content, make each piece of content you create valuable and sought-after. Long-form content is becoming the norm instead of the exception. Rather than churning out short-form pieces of content, consider investing more time in longer, more in-depth pieces of content that deliver higher value to your audience. It can be difficult to pack much educational punch in pieces that are shorter than 500 words. 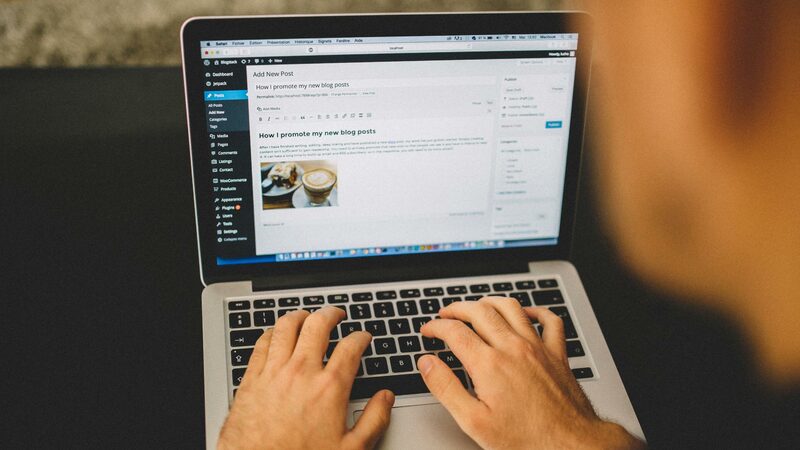 Here we are going to present some ideas you can use before writing your next business blog post. Before writing a post, you need to know its target audience. You need to decide who you will be talking to. In business blogs, the readers of a post are most likely people who want more information regarding that business. A well-crafted post finds out the potential questions of readers and answers them as thoroughly as possible. It speaks to the target audience. You can perform keyword research and analysis to determine the needs and wants of your potential customers and then create blogposts around it. Your post should be written in a way that it sparks a discussion amongst your readers. They should be able to engage with you on that topic. Look at the blog posts written by Neil Patel on QuickSprout. Not only does he write posts that engage, his writings spark discussions in the comments section where hundreds of readers actively respond to his posts. In his blogpost: “You Just Published a Blog Post. Here Are the 14 Things You Need to Do Next.”, Patel describes the actions you must take after hitting publish on the blogpost. In the comments section, he interacts with every person who has suggestions or feedback for him. This builds a community of people who talk about the same things as you, and you also get solid readership for your posts. You can’t explain your points to the reader without using correct grammar. A post should be written in proper grammar and then proofread once or twice before it is published. Poorly-written posts projecta negative image of your business to the reader. What would you think if this post was written “like this and published on the blog of a business website”? That’s why, a post or copy that goes on a business website needs to have impeccable grammar. By following this method, you will be able to spot mistakes and errors you couldn’t have spotted before. Edit your article down to every word and make all the required changes. Finally, proofread the article so nothing faulty gets missed. Be it one person or an editorial team who writes these posts, the editing and proofreading part is crucial. Call to action is the element which makes a blogpost worth writing. For business blog posts, the content being published has to achieve a purpose. Calls to action ensure that the purpose of writing the post is achieved. If there is no call to action, there will be a beautifully-written post with great photos and that’s it. The reader wouldn’t know what to do after they have gone through your content. For this reason, every post that goes up on your website must carry a call to action. Decide what you want your reader to do? Do you want them to leave their email address for newsletter subscription? Do you want them to sign up for a webinar? Are you looking to send this audience to an ecommerce page for buying a product? That’s how you choose which call to action goes on the page. Your effective copy can be a great call to action, leading your readers to take an action. Where to locate this CTA? It is better to use the conclusion for this purpose. A conclusion is required to end the post and it needs to make up the mind of the reader to take an action. Therefore, conclusion is the best place to place a call to action. You have given your points and explained your facts, now you have to end the post in a way which encourages the reader to sign up for a webinar or download an ebook, etc. You will notice a higher success rate in your content marketing efforts if you place a call to action in every post. If you require an example of this idea, read the conclusion of this article. Link to pages that direct a user deeper within your website, and not to the home page or any other major page. Provide value with your links, rather than just stuffing them in your post. The quantity of links in your post can range from 3 to 10 per post. The ideas mentioned in this article are going to guide your content strategy towards success. A good business is one that pays attention to its customers. When you know the needs and wants of your customers, you can never go wrong with content production. The success of digital business transformation strategies is dependent on a much more comprehensive approach to quality than just answering the question ‘does it work’? – as per Gartner. Visit this page if you want to turn your blog into a moneymaker, and learn more about creating blog posts that provide value.